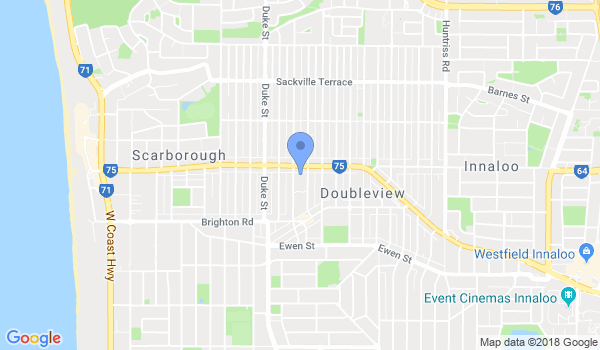 We have been at our current location in Scarborough (since 2002) training under Edwards Sensei, a direct student of Yoshiaki Unno sent here in 1973 to teach Yoseikan Aikido in Perth. As a non-profit organisation, we are determined to preserve the traditions of Aikido as set down by the founder. Moreover, we wish to create a dojo with great spirit and great people. We are very mindful of people’s limitations and allow students to progress at their own pace. Most importantly to us is to be respectful of the current laws surrounding the use of weapons in training as Aikido has its origins as a Samurai martial art. We work out of the Stirling Community Hall (formerly PCYC) as it provides us with discounted fees for room hire and all equipment necessary to practise Aikido. None of our instructors are paid as we consider it a labour of love and part of the legacy we leave behind. Please consider this before you decide to join, as people are volunteering their time free of charge. WELCOME TO AIKIDO-AIKIJUJUTSU YOSEIKAN AUSTRALIA! Are you looking to train martial arts in a fun & safe environment? Aikido is a martial art practised to ensure no harm to attacker or defender. Beginners are more than welcome to attend our classes here at our Scarborough Dojo. We advise anyone starting out in martial arts to come down watch a class, meet our students before deciding whether to join. We have many people with diverse backgrounds, engineers, accountants, office workers, “tradies”, surf coaches and many others. We also welcome people from other martial styles to come and train and learn something new. As a beginner our prime goal is to introduce Aikido at a level which suits each person. Our goal is to create a safe environment for people to train (we all have to work the next day). Normally we practice with a martial GI (tunic), full length legs and arms and white belt for beginners. Don’t worry if you have never participated in martial arts before…You can train in your track pants and top until you wish to purchase a specific costume. For people wishing to commence training on a full time basis, you will be required to become a full time member of Aikido-Aikijujutsu Yoseikan Inc. and pay the relevant training fees. Membership for our association is one off for the year and training fees can be paid on a yearly, bi-yearly, monthly or per class basis. For a full list of fees, click here for our fee structure. Please remove all jewellery, rings, piercings etc. before training. Alternatively use some sports tape on rings that cannot be removed. Hygeine is of paramount importance, so please make sure your hands and feet are washed before walking on the mats. Please remember that you are training with other people so make sure you have considered personal body odours and appearance before commencing training. Would you like more information on hours, classes and programs available at Aikido Kobukai Perth? Please contact the school with your questions. Update the details, Write a Review or Report Error of Aikido Kobukai Perth.